Viknesh Vijayenthiran October 31, 2017 Comment Now! 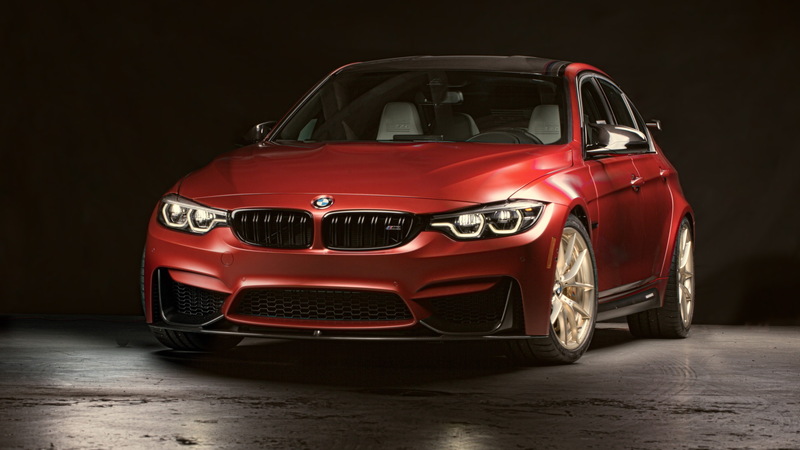 The 2017 SEMA show kicked off in Las Vegas, Nevada on Tuesday and one of the stars is a special M3 celebrating the sporty BMW nameplate’s 30th year in the United States. The car is called the M3 30 Years American Edition, and it comes a year after BMW rolled out a special M3 celebrating the 30th anniversary of the launch of the first M3 back in 1986. This latest one features the most exclusive of exclusive build runs of just one example, and yes, BMW has plans to sell it. The asking price is $129,630, including destination. The car features a very American color scheme combining red, white and blue, and it comes packed with special touches including a one-off design for the wheels, several “30 Years American Edition” inscriptions, and numerous items from the BMW M Performance Parts range. 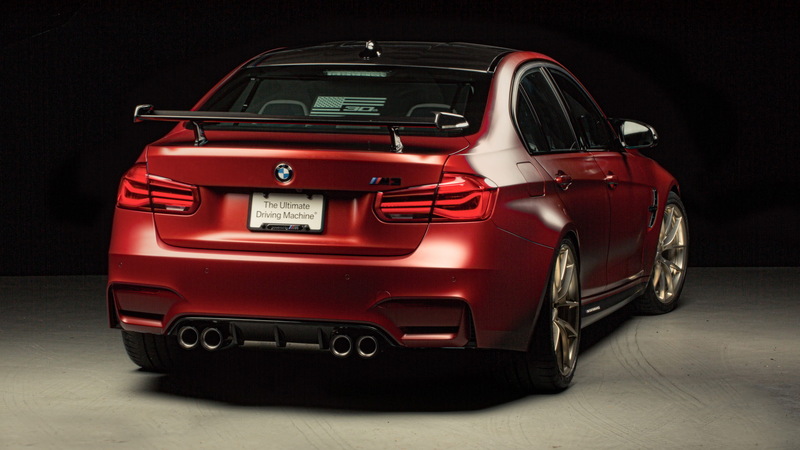 The special car is also equipped with the M3’s Competition Package. 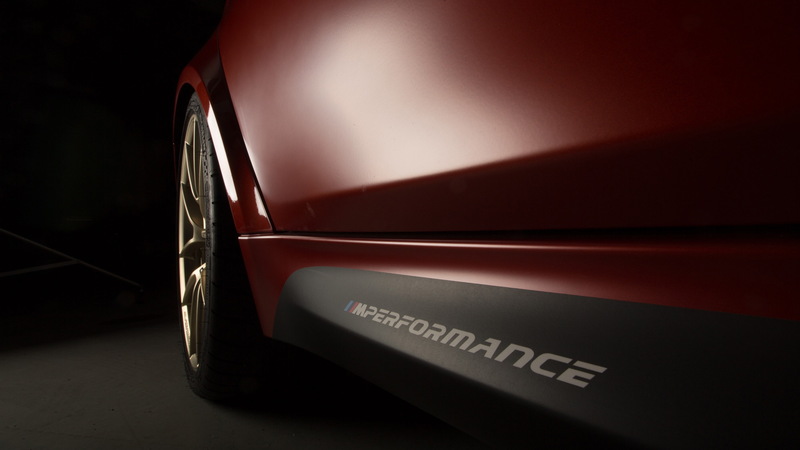 This ups power to 444 horsepower from the standard 425 hp and adds a few handling mods. The designers also went with a 6-speed manual, naturally. Handling the design was the BMW Group Designworks located in California. Just some of the items include adjustable sport suspension, a carbon fiber rear wing, and high-flow exhaust system with titanium muffler. In the cabin, the designers have added an M Performance-spec armrest, door handles and shift knob. 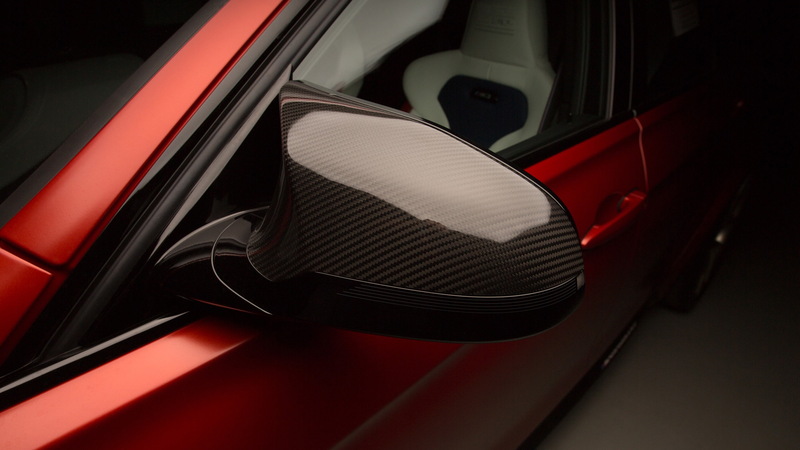 These are accented with Alcantara and carbon elements. Also on BMW’s stand at SEMA is the new M5 fitted with some items from the M Performance Parts range. 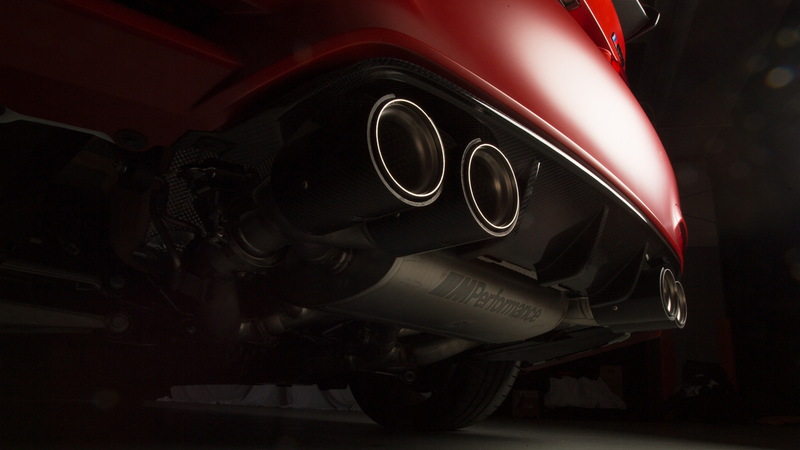 The list includes your usual aero elements and carbon fiber replacement parts but there are also some high-end items such as carbon-ceramic brakes, a titanium muffler, adjustable sport suspension, and a performance data recorder. That last one, dubbed the M Performance Drive Analyzer by BMW, can send data as a video or graphic representation to a smartphone via a free app. In addition, customers wishing to capture their drive on film and have the data overlaid can opt for a BMW M Performance Parts camera holder. This is designed to be mounted in the threaded bush of the towing lug either at the front or rear of the car. BMW says most of the M5's M Performance Parts on display will be available to order when the 600-horsepower super sedan hits showrooms in the spring of 2018. For our complete SEMA coverage, head to our dedicated hub.